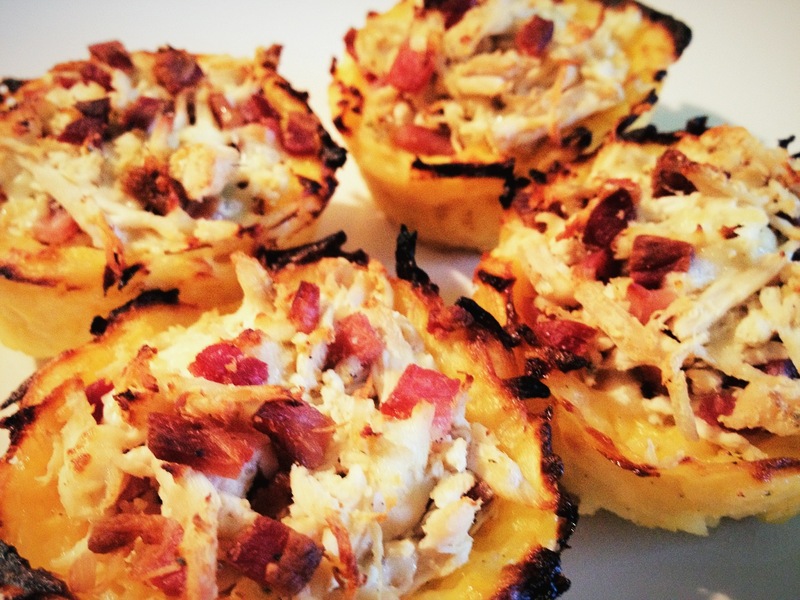 Here’s a ridiculously simple recipe for family night that is sure to please everyone – pizza fries! 1.Prepare the fries according to the package directions. Remove them from the oven. Pour the pasta sauce over the fries. 2.Top with the cheese, pepperoni, and a few dashes of oregano. 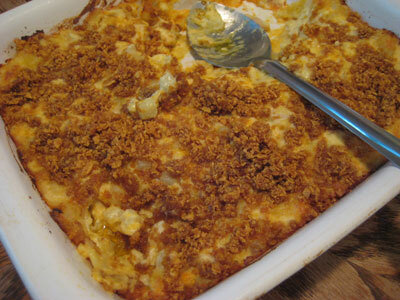 3.Bake for 5 minutes or until the cheese is melted. 4. 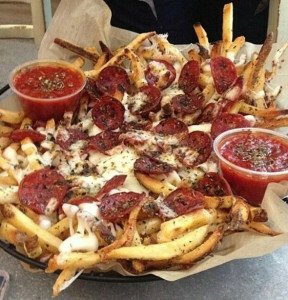 Top with several shakes of red pepper flakes or hot sauce, if desired, or fork and dip pizza fries into marinara sauce. I love ketchup on french fries and on meatloaf, but it’s hard to find other applications on which I can put plain ol’ tomato ketchup on and not have it taste “off”. But if you get a flavored ketchup, and then it opens bold new dimensions for this popular condiment. 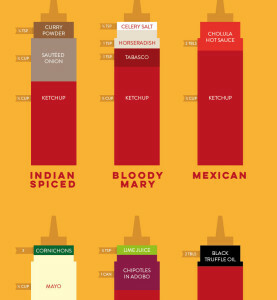 Below is an infographic I found on Reddit on different recipes for ketchup variations – Kickass Ketchups! Indian Spice Ketchup? Bloody Mary Ketchup? Chipotle Lime Ketchup? I cannot wait to play around with these ketchup recipe combinations! We’re fast approaching my favorite time of the year – Autumn. Yeah, yeah, I know – you probably don’t want to hear for the umpteenth time of why Fall is so great. Nor do a lot of you care about the annual resurgence of pumpkin spiced food items. Well, I happen to love pumpkin spice (and wish it were available year ’round, just like egg nog), and for those of you who also do, I’ve gone back in time 5 years and and unearthed a recipe I made for an excellent Ghost Pepper Pumpkin Spice Coffee for the original video version of the Weekly Firecast. Being the crazy tinkerer in the kitchen that I am, I’ve had lots of experience at testing out recipes, as well as starting from scratch when concocting various sauces and dishes. Unfortunately, more have failed than have been successful, but those failures have only pushed me harder at finding ways to make something work out. Being one of the big flavor brends, it wasn’t long before sriracha was applied to BBQ sauce. 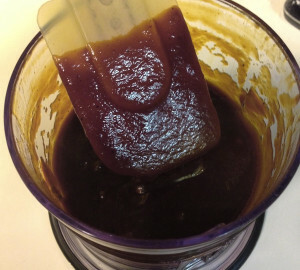 Here’s a homemade sriracha barbecue sauce recipe courtesy of McCormick. Once cooked, blend and then strain to remove the seeds. Ashlynn’s Gourmet is a hot new sauce company based out of sunny Florida who makes an impressive array of “flavor enhancers”, including tapenades, hot sauce, barbecue sauce and basalmic glazes. 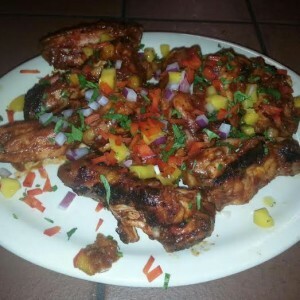 Annthea and Mike, owners of Ashlynn’s, sent along this recipe for some island-inspired hot wings that encompass so many flavors and builds to an amazing heat crescendo. 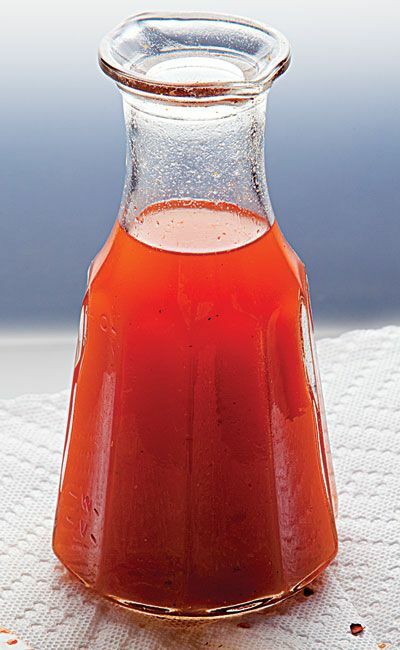 In eastern North Carolina, this type of spiced vinegar sauce offsets the richness of smoked, BBQ pork. 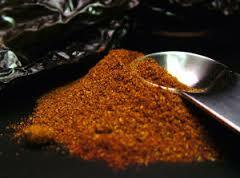 Combine vinegars, sugar, chile flakes, hot sauce, salt, pepper, and paprika in a storage container. 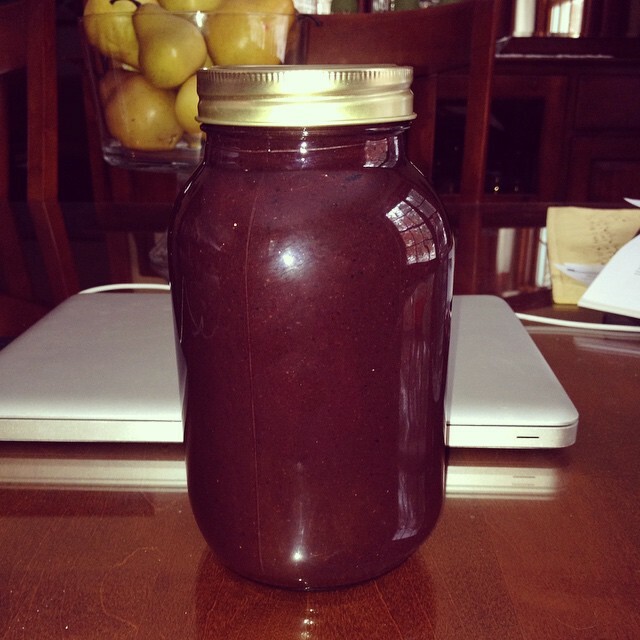 This awesome, mega-delicious homemade blueberry BBQ sauce recipe is one you have to try is you love your barbecue sauce to be on the slightly fruity and sweet side. I would include myself in that group, but it had better be an extremely balanced and tasty sweet BBQ sauce and not overpowering in the fruitiness department. Thankfully, this blueberry BBQ sauce is wonderful, and has a little something for everyone – sweetness from the blueberries and brown sugar, tartness from the red wine vinegar and balsamic vinegar, smokiness from the chipotle chiles, spiciness from the habanero, and full body and rich savoriness from the rest of the ingredients. Mmmm-mmmm! Time to make some good stuff! Here is comes. After several years of a baffling absence, I’ve finally decided to make public my very own, “top-secret”, personal, Roberts-family chili recipe. 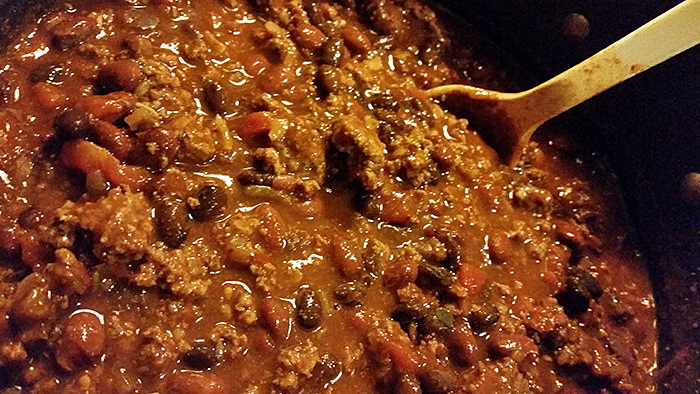 This is the delicious, spicy, hearty, chunky, “go-to” chili that I developed several years ago, and it is the chili I make on a regular basis throughout the year. Well, just to clarify, there’s probably nothing too secretive about my ultimate, number one, primary chili recipe. I haven’t been trying to hide it for any particular reason. I just…I don’t know! I have no idea why I’ve never gotten around to posting it until now! Slow cook the chicken breasts for 4+ hours in chicken stock and set aside to cool. Bake the potatoes and set aside to cool. Peel the skin from the potatoes and grate. Mix the grated potato with 1 egg, salt and pepper and a bit of oil. 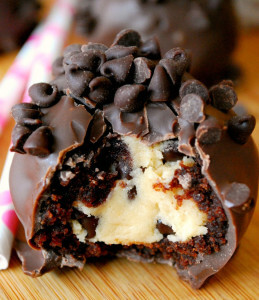 Press into a cupcake tin and make a well in the center. Bake at 400°F until the edges begin to brown. Set aside to cool and remove from tin carefully. 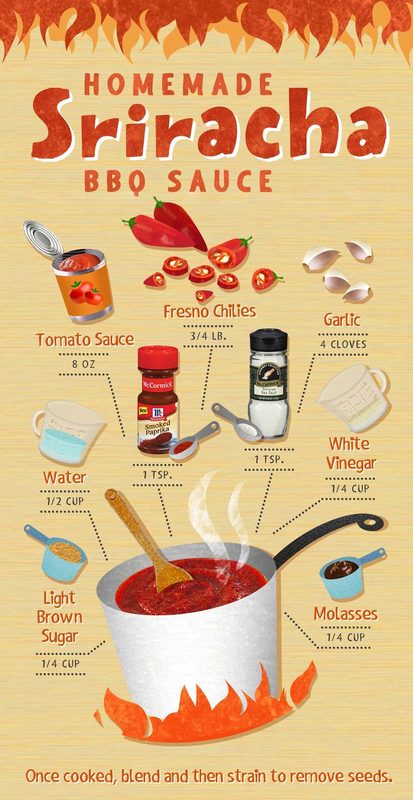 The secret to any great chili is start with an awesome basic chili powder recipe. 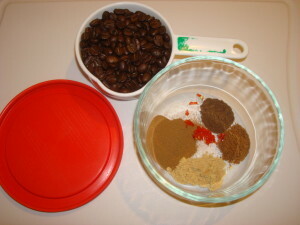 A chili powder spice blend can be theoretically used to flavor up many different things (try mixing it in with some cuts of steak or chicken the next time you make burritos or fajitas! ), but of course its main usage will always be a good bowl of chili con carne. 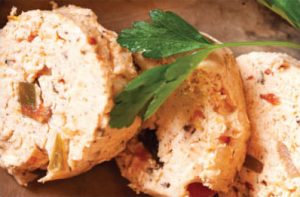 Do you have some boneless chicken breasts (either whole or in the sliced “tenders” form), and are in the need for a different style of cooking them? Here’s a compilation of totally killer chicken tender recipes that I’ve had up my sleeve and saved for insertion into my blog for months. I cannot take the credit for gathering these at all; that would have been the work of a “noah12345678987654321” on the imgur image site on his post here. 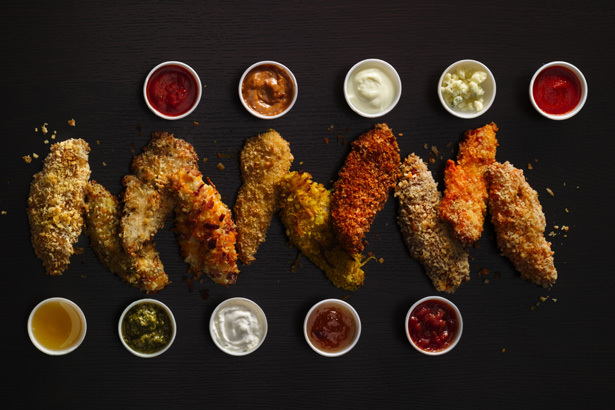 Let me just tell you, for a world of vastly different flavors of breaded chicken tenders with some stellar textures, these following recipes are “FTW” all the way!